What's Up With Kanye's MAGA Adventure? Brittany Spanos and David Fear join host Brian Hiatt for an obsessive discussion of Bradley Cooper and Lady Gaga's instant classic (is it anti-pop? )&nbsp; – and the long, campy lineage of "A Star Is Born"
Britney's "...Baby One More Time" At 20! Ice Cube on the Secret History of N.W.A. Biographer David Ritz joins host Brian Hiatt, David Browne and Patrick Doyle to talk about the formative influences behind Franklin's music, and we play Doyle's emotional 2014 interview with her, where Franklin goes through decades of her favorite music. What is 2018’s Song of the Summer? The Long Life and Slow Death of "Classic Rock"
We go deep on the life of Bad Boy Records legend Craig Mack – as well as Jack White's new album and Rolling Stone cover story. Host Brian Hiatt, who wrote the White story, is joined by Christian Hoard, Chris Weingarten and Jon Dolan to discuss. The Pumpkins just announced a major reunion tour – without bassist D'Arcy Wretzky. Host Brian Hiatt and Andy Greene dig into how we got here, and whether fans will buy three-quarters of the classic line-up – while also going through the band's entire fraught history. Why is Everyone Picking on Justin Timberlake? Timberlake just scored a number-one album in the face of a huge backlash. Host Brian Hiatt goes deep with Brittany Spanos and Rob Sheffield on how Justin went from beloved pop icon to online punching bag. Legendary video director Sam Bayer and Rolling Stone reporter David Browne join host Brian Hiatt to dive into the late star's story – and the making of the "Zombie" video. Plus, Bayer talks two of his other '90s classics: "Smells Like Teen Spirit" and "No Rain"
What's Next for the Rock and Roll Hall of Fame? Inside our list of the year's best albums, from hitmakers like Lorde and Kendrick to discoveries like Open Mike Eagle. Brittany Spanos and Jon Dolan break down the list – and the year's music trends. Bowie's Last Years – and Nile Rodgers on Making "Let's Dance"
As a new Bowie documentary looms, host Brian Hiatt and Andy Greene look at the star's insanely productive final years – an in-depth chat with Nile Rodgers on making 1983's "Let's Dance." Inside the complex life and brilliant music of the co-mastermind of one of rock's greatest and most singular bands.&nbsp; Longtime Steely Dan collaborator Eliot Scheiner calls in to discuss his time with Becker (and reveal the secret origin of "Haitian Divorce"); Hank Shteamer, David Browne and Rob Sheffield join host Brian Hiatt to break down Becker's story. In a deep, hilarious, career-spanning conversation with host Brian Hiatt, Cooper talks about breaking up his original band, touring with <a href="x-apple-data-detectors://2">Johnny Depp</a>, his friendship with <a href="x-apple-data-detectors://3">Glen Campbell</a>, and much more – plus, he reviews the new <a href="x-apple-data-detectors://4">Taylor Swift</a> single. The National's Matt Berninger and Bryan Devendorf join host Brian Hiatt to go deep on the making of their new album, <em>Sleep Well Beast. </em>They explain how weed, Donald Trump, Karl Rove inspired some of the songs, and&nbsp; why "rock n' roll in general is on its way out." 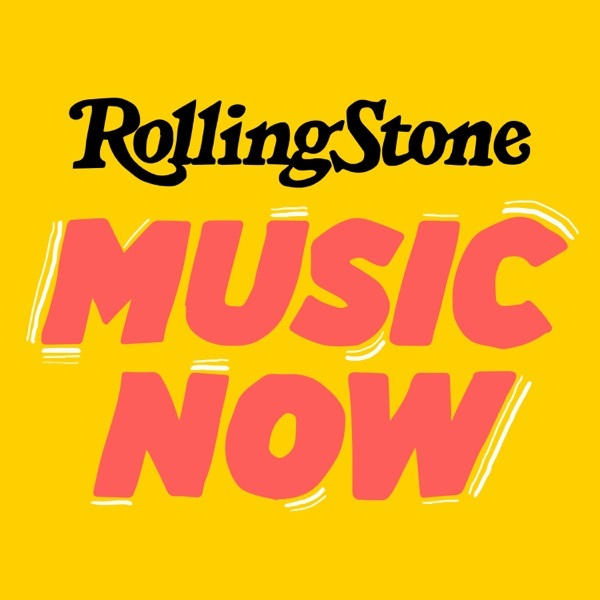 Semisonic's Dan Wilson spills secrets of writing hits for Adele, Taylor and the Dixie Chicks – and explains how he got there from "Closing Time"
We remember the late Chris Cornell, and play audio from Cornell's in-depth, revealing Rolling Stone interviews with Kory Grow and Andy Greene. In December 1970, Rolling Stone founder and publisher Jann Wenner sat down with John Lennon in New York City as the ex-Beatle prepared to release his solo debut. It became one of the most legendary rock interviews ever, thanks to Lennon's brutally honest thoughts on the Beatles' then-recent breakup and much, much more. This is part one of the audio, presented in celebration of Rolling Stone's 50th anniversary. As <a href="x-apple-data-detectors://1">Bob Dylan</a> continues his latest unexpected career turn with his standards LP Triplicate, Empire Burlesque producer Arthur Baker joins host Brian Hiatt and Andy Greene for an in-depth chat about the making of Dylan's most ultra-'80s album. As Pearl Jam, Tupac Shakur, Joan Baez and others get inducted into the Rock and Roll Hall of Fame, host Brian HIatt and senior writer Andy Greene take a comprehensive look back at some of the greatest – and craziest – moments in past ceremonies, from Mike Love's fury to Prince's legendary guitar solo. In her first interview about June 2nd's hopeless fountain kingdom, she goes in-depth on the creation of the album, its elaborate concept and the real-life heartbreak behind the song. She also talks with host Brian Hiatt about the making of her smash-hit Chainsmokers collaboration "Closer," her reaction to newfound fame and more. How Chuck Berry helped invent rock n' roll, and changed America forever: Berry biographer Bruce Pegg joins host Brian Hiatt&nbsp; – and Rolling Stone's Brittany Spanos, Patrick Doyle and Andy Greene – for a revealing discussion. Behind the scenes of Ed Sheeran 's new Rolling Stone cover story – and inside the critical debate over his music. Patrick Doyle, who wrote the story, joins host Brian Hiatt and staff writer Brittany Spanos. Rob Sheffield, Brittany Spanos, Andy Greene and Steven Hyden join host Brian Hiatt for an-in-depth debate: Is the heart of rock and roll still beating? How is making a "Star Wars" movie like recording a pop-rock song? Host Brian Hiatt and Pete Wentz of Fall Out Boy go deep on "Rogue One," and the saga's unlikely influence on musicians. Plus: Andy Greene and Brittany Spanos join the show to discuss what Trump has in common with Kanye – and wonder just who's going to perform at January's inauguration. Inside our list of 2016's best albums, from Beyoncé to Paul Simon to Green Day, from Young Thug to Rihanna. Brittany Spanos and Jon Dolan break down the list and discuss the year's musical trends with host Brian Hiatt. An in-depth conversation with the Rolling Stones about returning to the blues, the state of rock, their renewed partnership and more. He was a poet, a singer/songwriter, a monk, a septuagenarian arena headliner and much more: We tell the amazing life story of Leonard Cohen. Also: How will music change in the face of a Trump presidency? Tegan and Sara on Springsteen, Taylor Swift and more. Plus: Senator Tim Kaine goes deep on his fave music! Does Bob Dylan deserve the Nobel Prize? Greetings from Colt’s Neck, New Jersey! In this exclusive audio from his Rolling Stone interview with Brian Hiatt, Bruce Springsteen goes deep into his childhood, masculinity, his creative process and why does those four hour shows. Sting’s “I Can’t Stop Thinking About You” is the closest thing he’s made to a new Police song in decades. He talks to Rolling Stone’s Patrick Doyle about his upcoming album,&nbsp;<em>57th &amp; 9th</em>&nbsp;– as well as Prince, climate change deniers, and why he’s always working it. Plus: first thoughts on the new Lady Gaga single, “Perfect Illusion." How did two guys who grew up in strict evangelical households become the biggest breakout pop success of 2016? Rolling Stone's Andy Greene got the full story from frontman Tyler Joseph and drummer Josh Dunn in their hometown of Columbus, Ohio. Plus: New music from Francis and the Lights, the singer/songwriter/producer who has inspired everyone from Drake to Bon Iver. The world’s biggest metal band is now basically a DIY operation. The ever-voluble Lars Ulrich talks about what that’s like – and how it helped them record their upcoming double album, “Hardwired… To Self Destruct,” which emerged from an iPod of 1600 loose jams. Plus: a deep dive into Frank Ocean’s long-awaited album “Blonde." Before Pearl Jam existed and Nirvana broke big, there was Temple of the Dog: a one-off&nbsp; album featuring Chris Cornell of Soundgarden and an unknown guy named Eddie Vedder. In this episode, Cornell, Jeff Ament and Mike McCready tell the story of grunge's lost supergroup - and why they decided to finally reunite this fall for their first-ever tour. You can blame bad Eighties production or a certain white powder, but even the giants of rock and pop sometimes hit a bad note; we delve into the most ridiculously entertaining examples, from musical heroes like Chuck Berry, Bob Dylan and more. Plus: new music from Wilco and the Paranoid Style. One of rock’s great leadwomen talks about her musical influences, her rules for living – or lack thereof – and much more. Plus: Jenny Lewis’s killer New Wave side project, Nice as F**k.
Neil Young has a new band with the kids of an old buddy (Willie Nelson), and he’s having the most fun he’s had in years; he talks about his new groove with Rolling Stone associate editor Patrick Doyle; plus, Doyle, Andy Greene and Nathan Brackett break down Neil’s wild, woolly last few decades. Also: producer Dev Hynes’ new Blood Orange album,&nbsp;<em>Freetown Sound</em>. In this episode, we swallow our pride and take a hard look at underwhelming – and sometimes downright mean –Rolling Stone reviews of albums that are now acknowledged classic, from Led Zeppelin I to Weezer's "Pinkerton." Also: new music from Beck, and publicity stunts gone wrong. Paul Simon is still restless after all these years, as he proves on his excellent new album “Stranger to Stranger”; he recently spoke to Rolling Stone’s Andy Greene about his adventurous recording process, why it’s not always easy being Paul Simon – and why he won’t being touring with Art Garfunkel anytime soon. Plus: editors Nathan Brackett and Brittany Spanos go deep into the new album from feel-good Chicago MC Chance the Rapper. Radiohead have been one of rock’s most exciting bands for decades, but many fans had mixed feelings about 2011’s&nbsp;<em>The King of Limbs</em>. Is their first album in five years<em>&nbsp;</em>a return to form? Rolling Stone’s Nathan Brackett, Brian Hiatt and Andy Greene go deep on the gorgeous&nbsp;<em>A Moon Shaped Pool.&nbsp;</em>Plus: Author Mark Binelli goes deep into the myth and reality of a singular Fifties rocker with his new book “Screamin’ Jay Hawkins’ All-Time Greatest Hits”; and readers respond to the new Blink-182. Why do you like what you like? And what does that mean? Rolling Stone executive editor Nathan Brackett sits down with Tom Vanderbilt, author of “You May Also Like: Taste in an Age of Endless Choice” (Knopf) to talk about the real roots of music taste, why people stop finding new bands at age 23, whether Pink Floyd appeals more to Republicans or Democrats, and much more. Plus: Inside the new Beyonce and Drake albums, and readers respond to Pearl Jam’s new tour. Inside the epic life and music of Merle Haggard, the only outlaw-country superstar who actually spent time in prison and rode the rails. Plus: new music from Drake; Charles Bradley’s soul explosion; California rockers Bleached; and readers talk back to our 100 Greatest Drummers list. Rolling Stone’s David Fricke talks about Iggy Pop’s new album with Josh Homme – and why it might be the Stooges great’s last. Plus: The National unleash their secret Grateful Dead obsession with an all-star album of covers; new music from Sturgill Simpson; and reader mail on our Weezer coverage. What happens when a big rock band loses its head, figuratively speaking? We look at the best and worst case scenarios, from AC/DC to Van Halen to Stone Temple Pilots. Also: new music from Arctic Monkey Alex Turner’s side project Last Shadow Puppets, Zayn and Australian indie rockers the Goon Sax. Plus: readers respond to the death of Phife of A Tribe Called Quest. After decades of acrimony, Axl Rose and Slash are getting back together onstage. Can they pull off the rock reunion of the year? Associate editor Andy Greene and senior writer Brian Hiatt take a deep dive into the monster band’s ups and downs; plus: new music from Andrew Bird and Fiona Apple, Anohni and Big Thief; and what did Beatles producer George Martin actually do? Bob Dylan just dropped a magical treasure trove of music, film footage and other archives onto the world; RS editors Rob Sheffield and Andy Greene delve deep into the heart of this Dylanologists’ dream, and explain why you will have to go to Oklahoma to see it. Plus: Kendrick Lamar and the (possible) return of jazz; Metallica’s “Master of Puppets” and more. HBO's new series "Vinyl" – produced by Martin Scorcese and Mick Jagger – aims to capture the wild energy of the music business in the 1970s. So what does it get right about rock and roll, and what does it gets wrong? Editors Rob Sheffield, Alex Morris and David Fear debate. Plus: we answer very emotional reader mail about our recent "Greatest Emo Albums" list, and contributors Suzy Exposito and Brittany Spanos attempt to answer, once and for all, the big question: What the hell is emo? Also: Rob Sheffield and Brittany Spanos talk about their favorite new songs from Car Seat Headrest, Parquet Courts and Mitski. Weezer frontman Rivers Cuomo talks about the unusual places he looked for inspiration for Weezer’s upcoming “White Album” – among them, the beach, and … Tinder! Plus: the fabulous FKA Twigs’ new song; lost Elliott Smith tracks; and shoegaze superstars DIIV. With Rolling Stone’s Nathan Brackett, Jon Dolan, Andy Greene, Annie Licata, Jason Newman and Brittany Spanos. A deep dive into Kanye West’s pained, fragmented new album “The Life of Pablo” with Rolling Stone's Rob Sheffield, Brittany Spanos, Simon Vozick-Levinson and Nathan Brackett. Plus: Aussie rocker Courtney Barnett makes ramen cool; and, in our first debate, writer David Browne mounts a passionate, lonely defense of the compact disc, as Brian Hiatt argues that it can’t get to history’s scrapheap soon enough. Cameron Crowe on Glenn Frey of the Eagles; Beyoncé; Is the Gold Record Dead? "Almost Famous" director Crowe remembers his friend Glenn Frey, whom he met as a teenage correspondent covering the Eagles for Rolling Stone in the 1970s. Also: Does every gold record have an asterisk now? Inside the new rule changes which some insiders say are cheapening the music sales award. Plus: Beyoncé's "Formation"; New York rockers Sunflower Bean, a.k.a. "the coolest band in the world"; and new music from Chairlift. Is Hillary Clinton really a Lana Del Rey fan? Is Chris Christie's favorite Springsteen album really "Magic"? And why does Ben Carson like "MacArthur Park" so much? Rolling Stone writers and critics delve deep into the presidential candidates' music tastes. Plus: New music from Rostam of Vampire Weekend; the real meaning of the Grammys; and much more. After a decade of quiet, Bowie embarked on a remarkable comeback in his final years, even as he struggled with illness; the inside story, featuring an interview with Bowie's longtime producer Tony Visconti. Also: Beck, Mick Jagger and Nile Rodgers remember Bowie; Rihanna's "Anti" and the age of the surprise album; and reader mail.